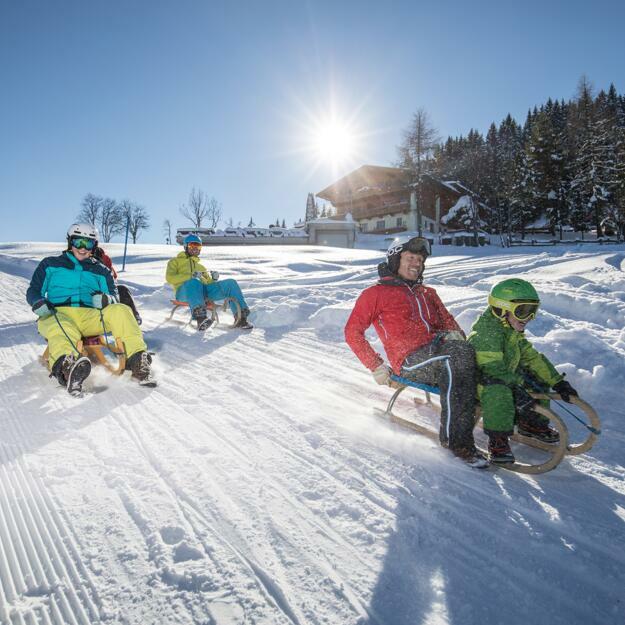 Winter in Alpbach offers you a great range of amazing actifity for all the family: Discover the beautiful landscape of Tyrol and enjoy unforgettable moments together – with ski days, winter hikes, toboggan slides and horse carriage rides through the romantic snow covered Alpbachtal Valley. 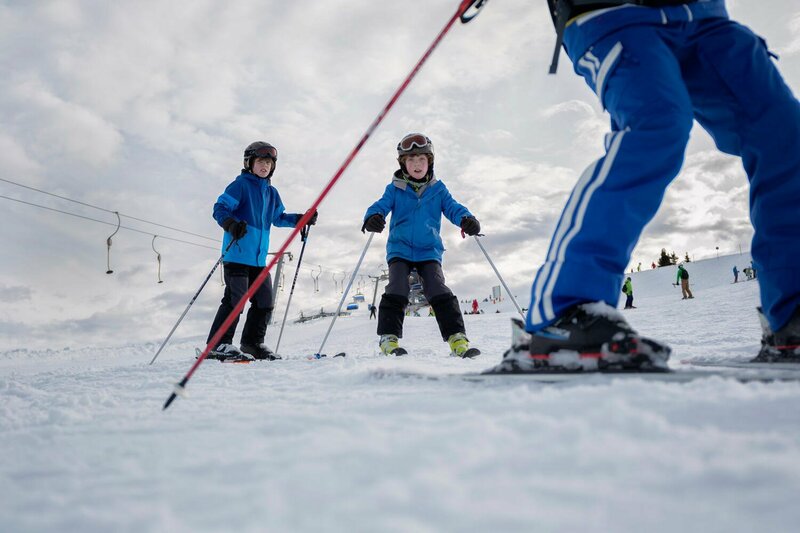 The many ski schools in the Ski Juwel Alpbachtal Wildschönau resort are ideal for children learning to ski. 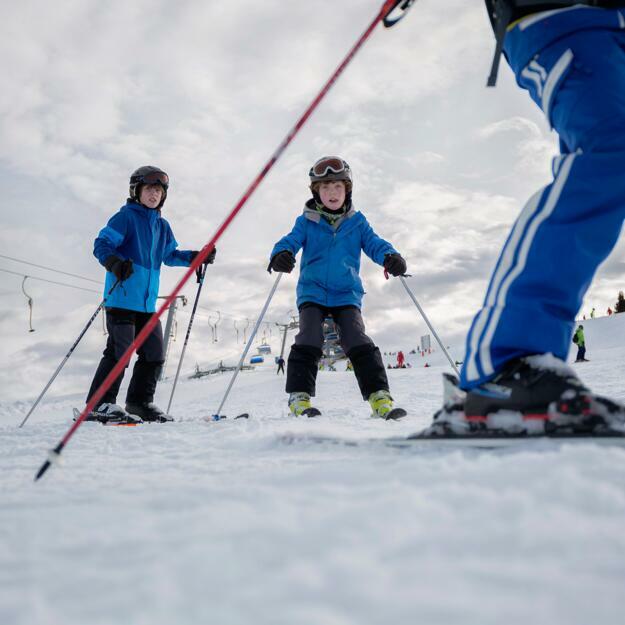 More experienced youngsters and their parents should head for the Family Park Schatzberg or take a run down the funslope near the top of the Gmahbahn cable car on the Wiedersbergerhorn mountain. 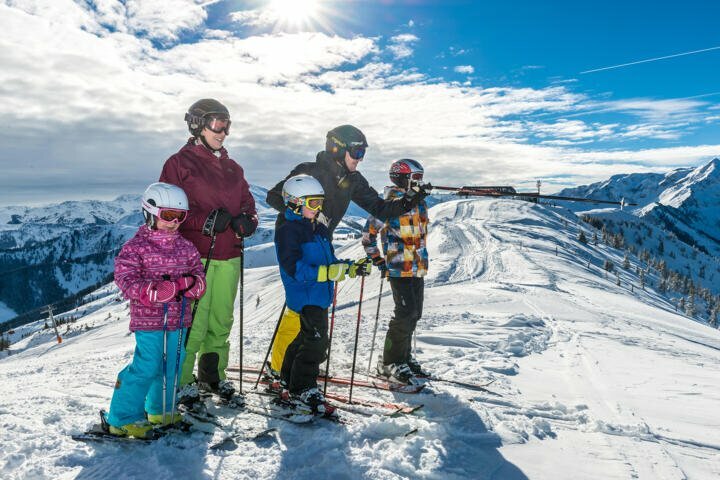 The family-friendly ski pass packages combined with the child-friendly slopes make the certified family ski area Ski Juwel Alpbachtal Wildschönau a perfect match for a ski holiday with kids. That's why www.skiresort.info labeled it a "Top Ski Area for Families and Kids". 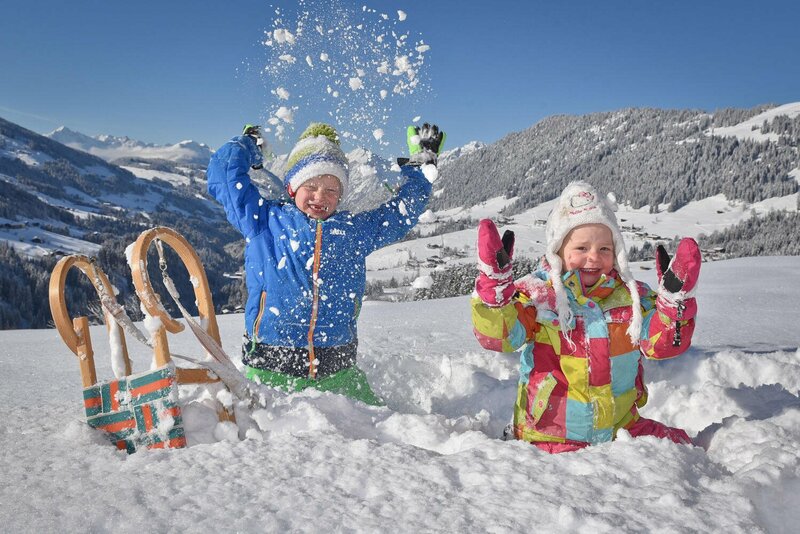 Children who do not want to ski can be looked after at the Kids' Centre near the top station of the Alpbach Gondelbahn cable car. The centre is open from 10:00 until 15:00. Childcare costs €8 per hour (plus €3 for lunch). 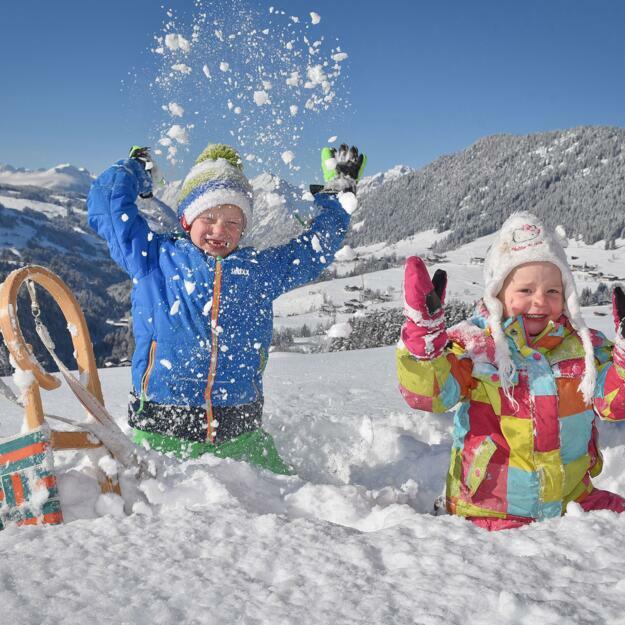 There is also a Kids' Club at the Hotel Böglerhof which offers childcare services throughout the winter. 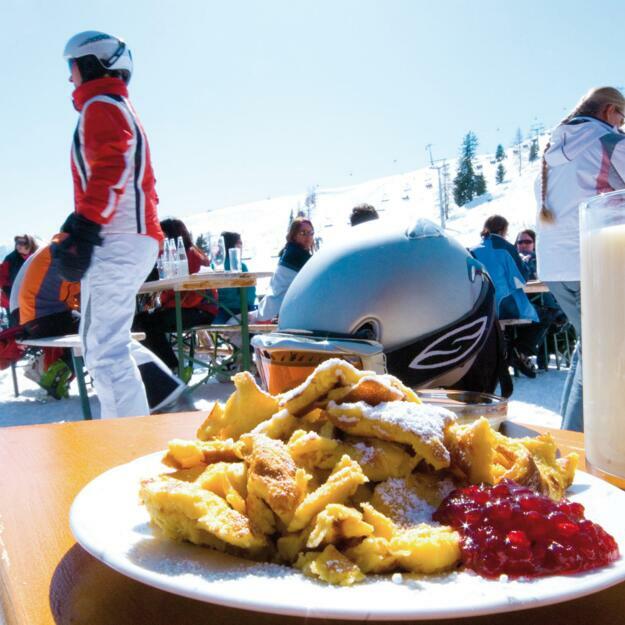 Get to know the beautiful scenery in the Alpbach valley in comfort. The horse-drawn sleighs take you straight through the winter wonderland while cozily snuggled up. Let us know if you want to make a laid-back trip through nature and we'll gladly organize a private tour for you and your family. 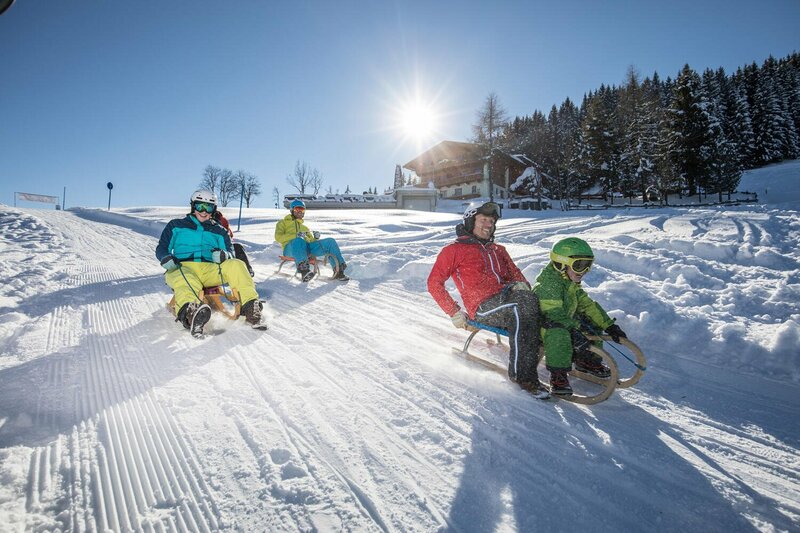 Toboggan is a fun way to add some extra action to your family ski holiday in Tyrol. 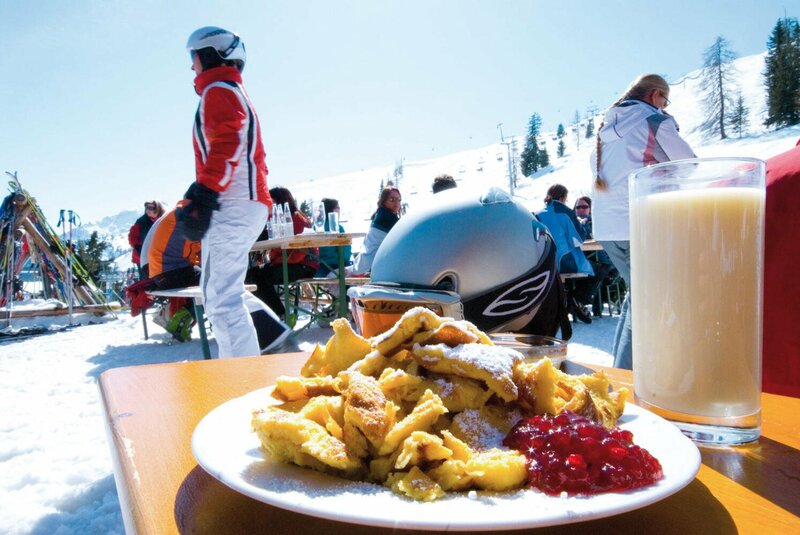 There are many runs in the vicinity of the hotel and some are even available as evening entertainment after the five course dinner menu at the ****S Hotel Böglerhof. Get ready to saddle the sled!